Could it be? Spring is finally here! The days are starting to get warmer and although it has been raining I would much rather have rain then snow. Spring brings flowers, robins, and renewed energy as we look forward to summer BBQ’s, camping and days at the beach. These activities always take a little extra planning to make it enjoyable for the Monkey but it is well worth the time spent on preparing social stories and routine strips. With summer trips come snacks that are easily packed and ready to go when needed. For this I usually like to pack muffins, granola bars, cookies, fruit, beef jerky, little baggies of dried fruit and nuts, veggie sticks etc…. 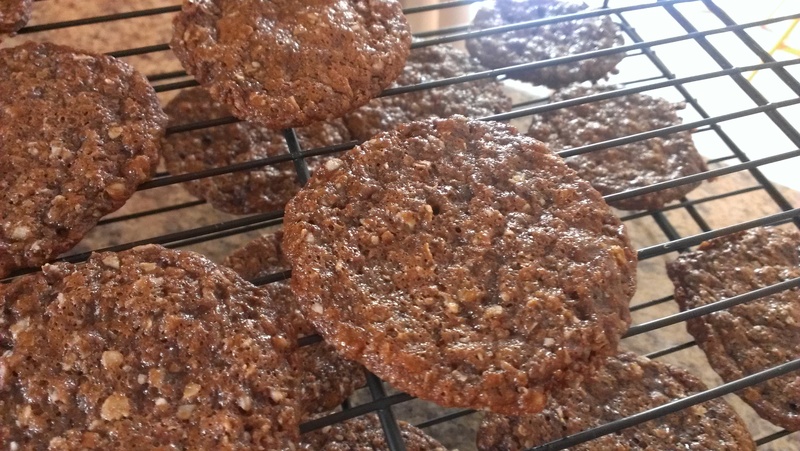 Today I am going to share these yummy cookies with you that will surely be part of our summer snack bags as they are so easy to make and so delicious. There you have it out of the mouth of a 5 year old. These are the best cookies ever. To top it off they are gluten free, dairy free, and egg free. 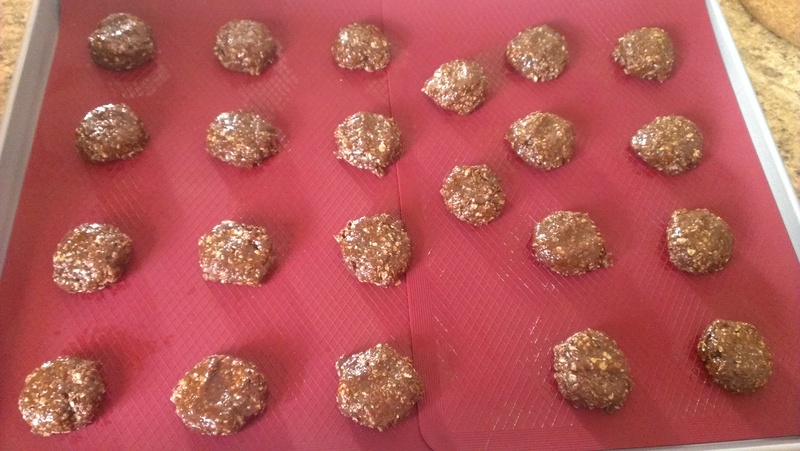 I made these in 4 variations which we all liked: First batch was with peanut butter and honey and is definitely our favorite kind. Second was sun butter and honey which were good but a little chewier then the peanut butter ones. Third was the peanut butter with rice syrup and fourth was the sun butter and rice syrup. The rice syrup gave for a nutter less sweet taste that although I liked as did the Monkey the hubby did not like as much. Peanut Butter and honey is by far our favorite kind but all the variaties were delicious. Why 4 varieties you wonder? Primarily because I wanted a cookie that I can also send to school with the Monkey meaning it had to be nut free. Secondly I wanted to allow for a vegan option but since rice syrup has a very different flavour then honey and also reacts slightly differently when heated I wanted to test it to make sure it would work. I would hate to say you could us something and it not turn out. The basic components of each recipe are the same however if using sun butter leave out the baking soda and increase the salt to 1/2 tsp instead of 1/4. Heat the peanut butter (or sun butter), honey (or rice syrup), chocolate chips, coconut oil and vanilla over a double broiler or in a glass bowl over a pot of boiling water. Once fully melted set aside. 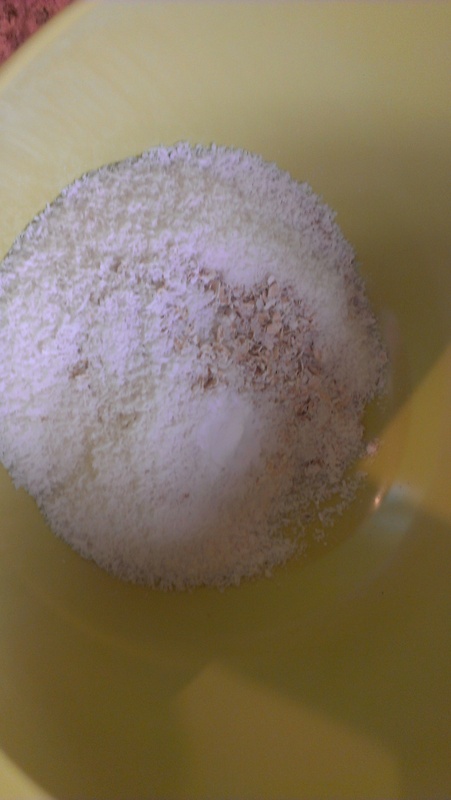 In another boil mix together the oats, coconut, flax meal, salt and baking soda. 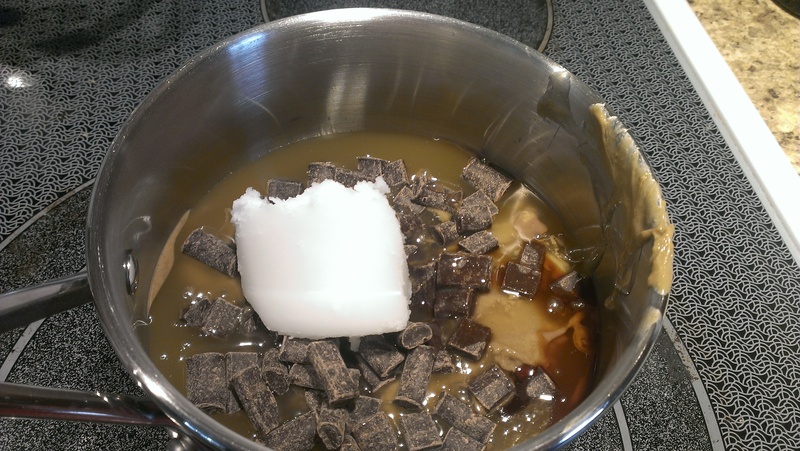 Add the chocolate peanut butter mixture to the dry ingredients and mix together well till everything is covered by the melted mixture. Drop cookies on parchment lined baking sheet by rounded tbsp. 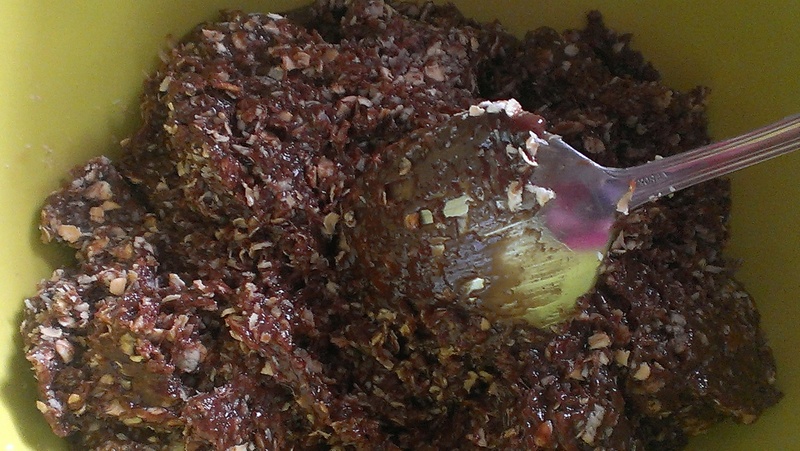 Bake for 8 – 14 minutes depending on how heaping your tbsp’s were. The longer you bake them the chewier they will be. Also, allow cookies to cool on cookie tray for 10min before moving to wire rack. Hope you enjoy these as much as we did. I will be making these again I think especially if the Monkey has his way. They are so yummy and easy.